When Yardsale was founded by South-East London locals Daniel Kretiem and Curtis Pearl in 2013, UK skateboarding wasn’t anywhere near as popular as it is today. There was Palace, to be sure, but really not much else. If you were into UK skateboarding at the time, chances are you were re-watching old Blueprint videos until the tape dissolved. 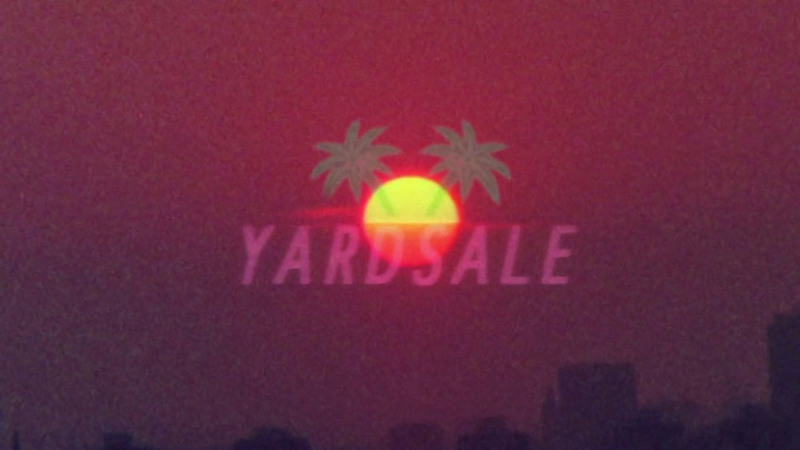 Enter Yardsale: its unique blend of colorful 80’s Miami Beach aesthetics and the misery that was pre-gentrified South London has a certain charm that moves beyond mere nostalgia. It’s a weird combination of old and new; an encounter between cultures that are more than 4000 miles apart. It’s weird, too, because the lush 80’s nostalgia reflected in Yardsale’s design is directed at an experience the young founders never could have had themselves. In this respect, Yardsale’s unique aesthetic blend is reminiscent of music genres like mallwave or vaporwave, or of shows like Stranger Things – it’s telling new story with old devices, and we really dig it. You can check you the Yardsale stuff at our web shop and at our store in Frankfurt.